Posts Tagged "Belle Epoque Fashions"
Home » Posts Tagged "Belle Epoque Fashions"
The pre-eminent artist of Belle Epoque Paris, Henri de Toulouse-Lautrec (1864-1901) will be starting a Belle Epoque/Art Nouveau trend with his must-see exhibition at MoMA Museum, NYC, from July 26, 2014-March 1, 2015. Featured, his famous prints and plenty to inspire all in the fashion and hair worlds. 19th century Parisian life – the social salons, the culture of gastronomy (think Maxim’s), ice-skating, horse racing at Longchamps and, of course, the dance halls, the Can-Can, Moulin Rouge, the brothels and prostitutes – all will inspire. 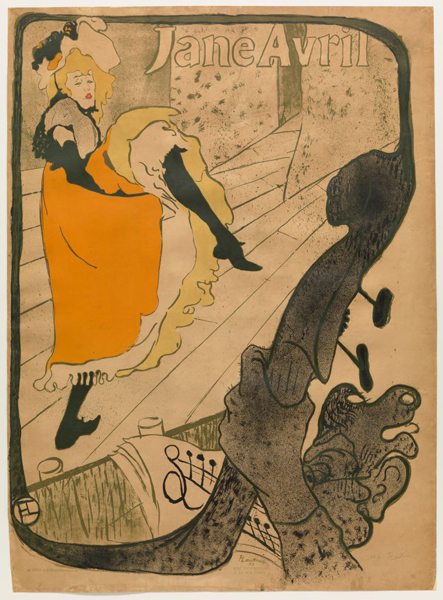 As will Lautrec’s muses, Yvette Guilbert, La Goulou, Loie Fuller, Jane Avril and everything Epoque and Art Nouveau. Which includes Gibson girl hairstyles of the era. Often in bright orange or red or yellow. Watch for all to go to the top of the head, fitting in with today’s casual looks.